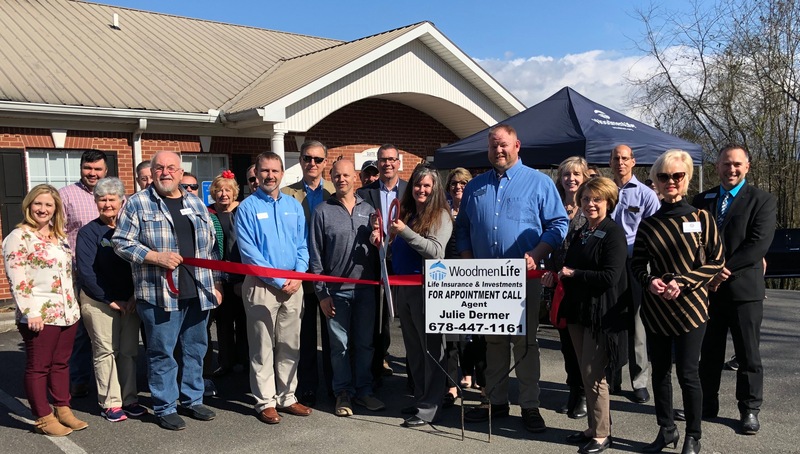 On March 25th, Julie Dermer, WoodmenLife celebrated their new business with a Ribbon Cutting. WoodmenLife was founded in 1890 as a not for profit. The organization gives back to its nearly 700,000 members, who join together in a shared commitment to family, community and country. With a legacy of financial stability, WoodmenLife offers quality life insurance and retirement products. Woodmen is proud to be one of the largest American Flag donors to other non-profits, government buildings, and churches.